1928 is the year of birth of Pierre Dumas, inventor of luxury collections of main hotel houses. Exclusive to Dumas Paris, this pillow mist with a refined perfume blends notes of lavender officinalis and bergamot. In the head, lavender mingles with the sweet and pungent notes of citrus. A divine bouquet that is expressed on a background of floral musks, silky and flexible. A call to relaxation, a precious moment of lessening. Composition Contains: benzyl salicylate, p-tert-butyl-alpha-methylhydrocinnamic aldehyde (lilial), 3-methyl-5-cyclopentadecen-1-one.Can produce an allergic reaction. Packaging The glass bottle is made in France by a master glassmaker. A spray allows uniform diffusion of the mist. The perfume is contained in a night blue case signed Dumas Paris. Precautions for use Gently mist the pillow scent on your bedding before going to sleep. The use of a pillowcase is recommended.Flammable liquid and vapor. May cause eye irritation. Harmful to aquatic life, causes long-term effects. Keep away from sparks, open flames and other sources of ignition. In case of contact with eyes, rinse with plenty of water. Delivery and return Your mist is delivered within five working days from the date of order, at your home or relay point. Delivery in metropolitan France is free. You then have a period of 14 days to return or exchange the product if it does not meet your expectations. The product and its packaging must be returned to their original condition. For any questions, our customer service is at your disposal. 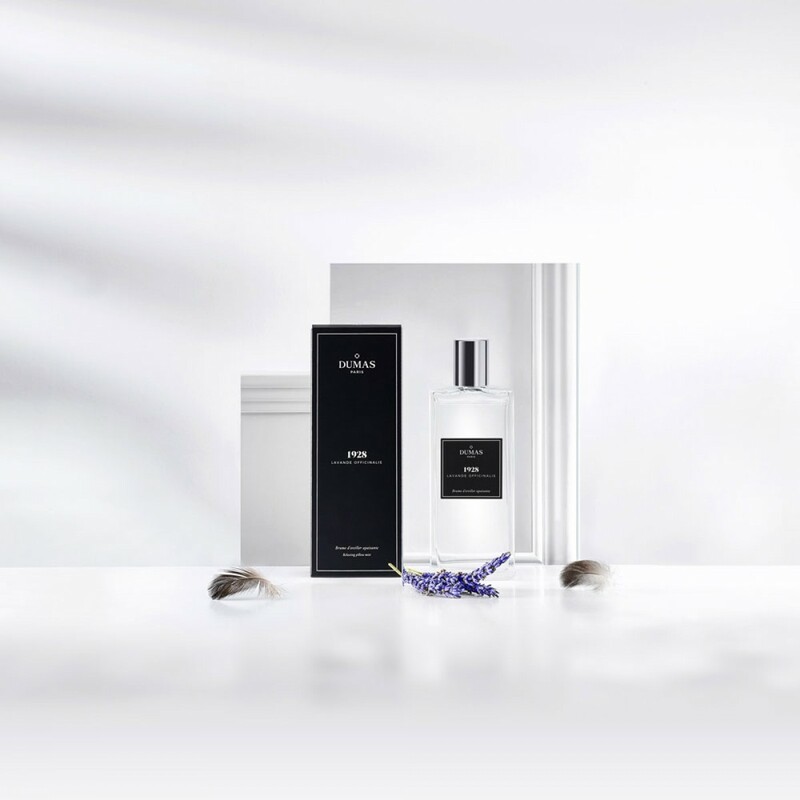 Enhance the experience of a Dumas Paris' night by accompanying your sleep of a soothing scent. Because falling asleep is a precious, fragile and intimate moment, Dumas Paris accompanies this moment of absolute relaxation with its pillow mists. Perfumes are based on essential oils with relaxing virtues, for a moment of relaxation. Like a signature, the three fragraces are reminders of the key moments of Dumas Paris history.